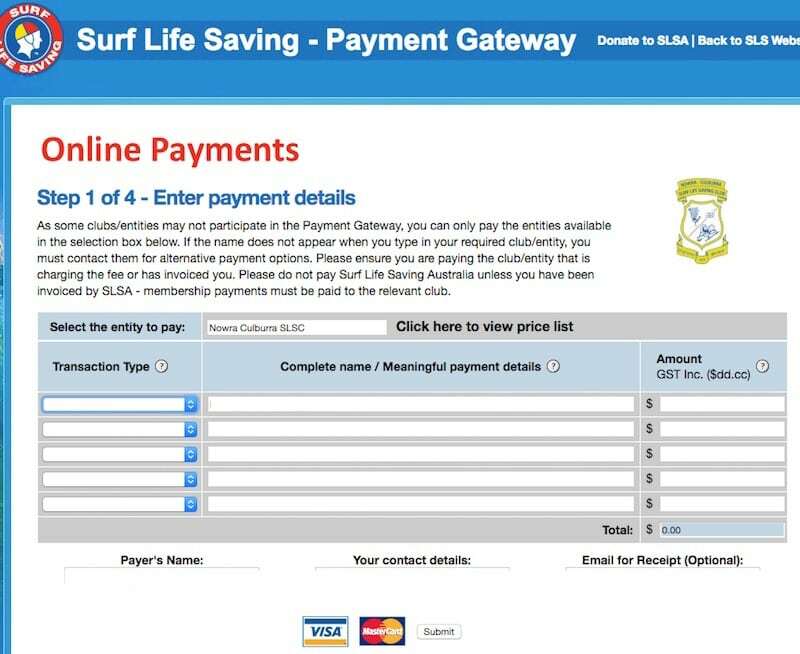 Select the entity to pay – enter Nowra Culburra SLSC. Transaction Type – select ‘membership fee’ if you are renewing, or ‘joining fee’ if you are new to the club. Complete name/meaningful payment details – e.g. ‘Peter Adlington membership fee’. Amount – find our current membership fees here and enter the appropriate amount.